I have always been into fitness, completing my personal training Certificate in 1999. 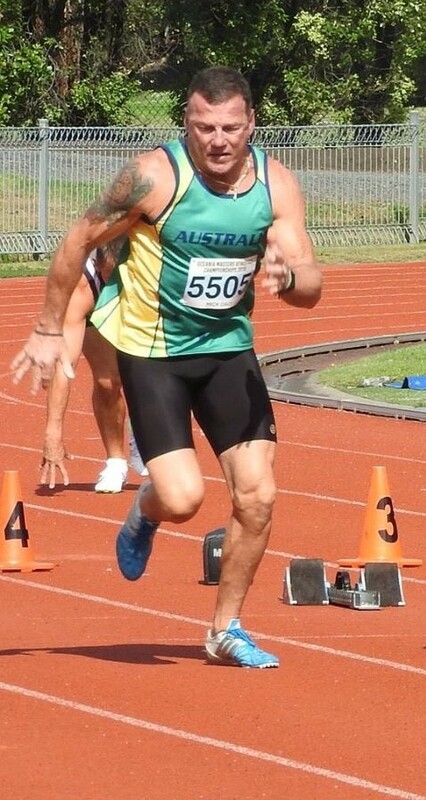 I played rugby league until 1993 and then started triathlons from sprint to half iron man. This then led to ultra marathons! In 2011 I went to the local athletic track to race in a 3km event, It was then where I saw the masters men’s sprint race, from that day on I’ve been hooked and love competing and the adrenaline rush. 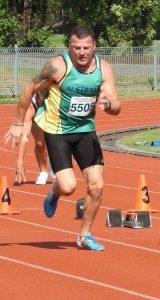 Just finished my 7th season and have around 50 medals, from NSW relays Country Championships, State and National titles, Police Games, Australian Masters Games, Pan Pacs and Oceania Championships over 60m, 100m and 200m.